Sichuan Red Oil Wontons - Delicious and mouth watering wontons in red oil and black vinegar sauce. Easy recipe for homemade spicy wontons for dinner today. Chinese wontons are one of the most versatile food ever created. 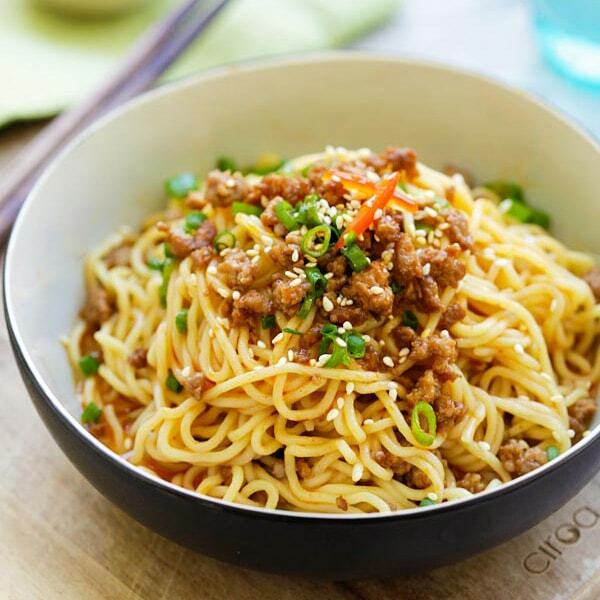 First of all, the filling — the choice between traditionally seasoned ground pork, or a combination of shrimp and pork, as is Cantonese style shrimp wontons. 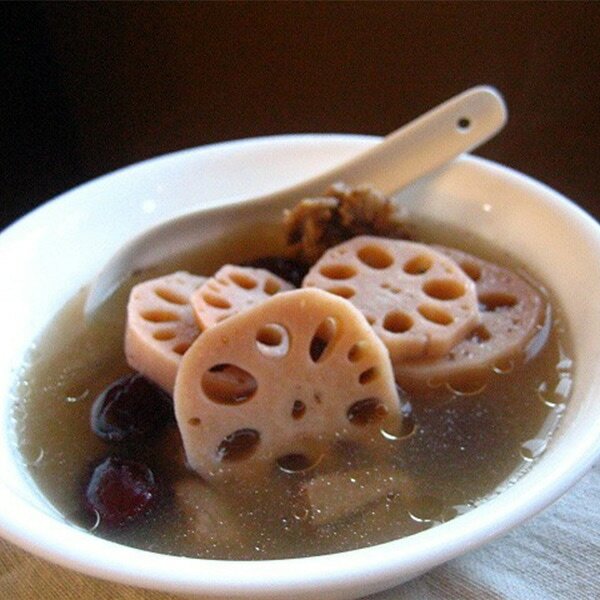 The filling can also be a combination of pork and vegetables, for example: leeks, as is the popular Northern Chinese dumplings. Then, there is the cooking method. The traditional way is to boil and serve wontons in soup, such as the regular wonton soup. Wontons can also be deep-fried and served with dipping sauce. To me, the most enticing and delicious wontons hail from the Sichuan province in China. These are boiled, drained and then served in a spicy chili oil and black vinegar sauce. These are called Sichuan Red Oil Wontons, the KING of all wontons. 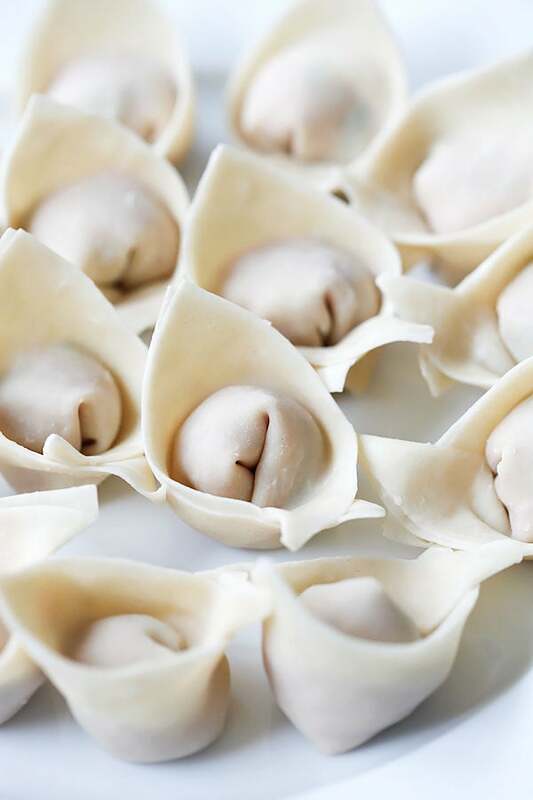 The name may have originated from its similarity to the way people folding their arms across the chest during the cold winter months in Sichuan, which is exactly how the two lower corners of the wonton are folded after the wontons are wrapped into a triangle. This tantalizing little appetizer is appealing anytime, especially during cold weather. One bite of the savory wonton accompanied by the heat of the chili oil is enough to warm the stomach and the heart. I absolutely love this amazing Sichuan red oil wontons recipe, it’s one that I always go back to whenever the temperature dips. If you haven’t tried spicy Sichuan wontons, you’ve got to make them soon. I guarantee you that you will be enjoy them. Once you try them, you will want more. Sichuan food is utterly addictive, one bite of the incendiary chili oil and the explosive flavors, there is no turning back. Just look at the pictures above, don’t they set your mouth watering and stomach rumbling? 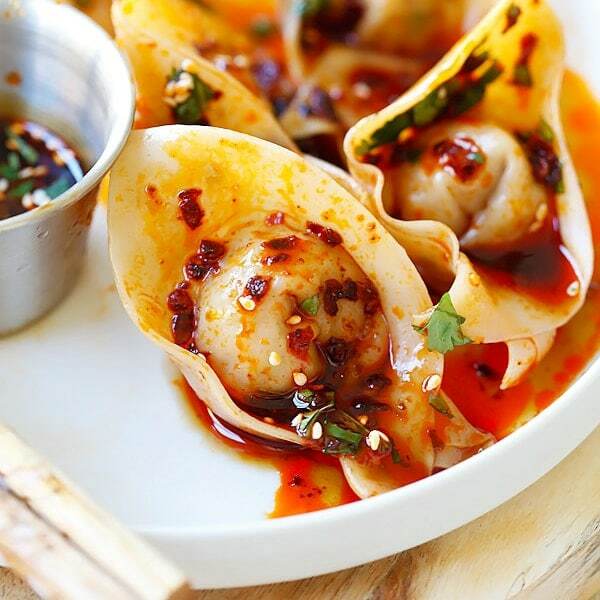 Sichuan Red Oil Wontons – delicious and mouthwatering spicy wontons in Sichuan red oil and black vinegar sauce. Easy recipe for homemade spicy wontons. In a bowl, combine all the ingredients of the Filling together. Set aside. Mix all the Sauce ingredients together. Set aside. To wrap the wontons, place about a teaspoon of the Filling in the center of a wonton wrapper. Dab your index finger into the small bowl of water, and then trace the outer edges of the wonton wrapper. This will help seal the wontons. Fold the wonton up to form a triangle shape. Pinch the wonton wrapper to seal tight and make sure there is no leakage. Using the thumb and index finger of both hands, pinch and fold both corners of the wonton downwards. Then, lift the right corner over the left corner, pinch to seal tight. You might dab a little water on both corners to help seal the wontons. Transfer the wontons to a floured surface or a plate lined with parchment paper. This will ensure that the wontons don't stick to the surface. Bring the water to boil. Gently drop all the wontons into the water and gently stir the wontons with a ladle to prevent sticking. Boil the wontons until they float to the top, about 1-2 minutes. Transfer the wontons out immediately with a strainer or slotted spoon. Shake off the excess water and transfer the wontons to bowl. Add the desired amount of the Sauce to the wontons and gently toss them to coat evenly. Transfer to a serving platter, garnish with some sesame seeds and serve immediately. You really need a visual for wrapping the wontons. I just don’t get it! As instructed in the recipe step 1-7, there is also a visual mentioned, pg. 2. picture gallery, picture #2.
i am go for days with wonton! Let it be in any form or any shape or any fillings. This is making me crave for some wonton now. Another fantastic recipe! I used to have these at a place called Grandview in Burlingame, CA. These are exactly the same as I remember. Thank you Rasa. I like picture #4…drowned in chilli oil…it’s making me hungry! I love the recipe of the Sichuan Spicy Chili Oil. Can you tell me it’s shelf life if I keep it in the fridge? I usually store the chili oil in an air tight glass jar up to 3-4 months, it still taste great. My family doesn’t eat pork, is it possible to use a shrimp filling? Or would it be better to use a pork substitute? now i got to make my own wonton, and im so glad that i dont have to go malls just to have this.thank you for sharing! Thanks again for another great recipe. My friends love them! Instead of boiling, is it ok to steam the dumplings? If so how long would be suitable to cook the wonton wrapper and the pork mixture inside? Boiling is the easiest but yes you can steam for 8 minutes or so. Great recipe! Filling should be softly cooked prior to filling the wrapper. No, filling is always raw and get cooked when boiled. What wonton wrapper brand were you using? I must have made a million dumplings over the years, and your filling is so similar to mine, but your dipping sauce – by far – is the best I’ve ever had! Thank you!! Hi Steve, awww, thanks so much for the great compliment. I am glad you love the sauce! mmmmm….looks delicious! It looks like a little fish. I will make tomorrow! Hi! Thanks for the great recipe! I made these last night for a superbowl party and they were a huge hit! I did bake the meatballs before making wontons though. I felt like the meat wouldn’t cook in 1-2minutes? Anyway they were fantastic. I will make them again. I had to add some sugar and water to the sauce to ‘tame’ it a little. Very good. I love all the recipes on this blog! 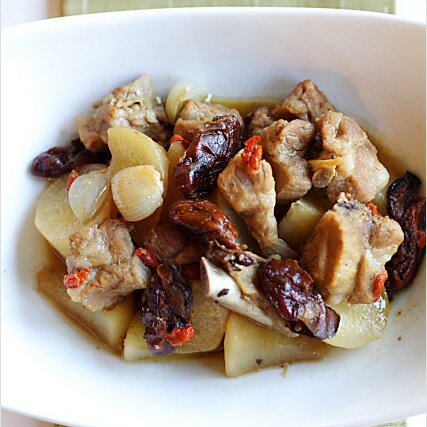 Look so yummy !….am surely going to include this in my new year feast. Can these also be fried? Same question. Could these be boiled, then quickly browned in a pan like a potsticker and then tossed in the sauce? Yes, of course you can boil, steam, pan-fried. I found this recipe while searching for a way to recreate some delicious Szechuan dumplings I ate at the Z and Y Restaurant in San Francisco’s Chinatown. I followed the recipe almost exactly (using the larger amount of chili oi), except 1) my chili oil didn’t have any flakes of chili (like I saw in your picture), so I also added about a tablespoon of chili paste in oil. Also, I’m pretty sure Z and Y’s dumpling sauce had garlic and a bit of tongue-numbing Szechuan peppercorns, so I put in a dash of each. Anyway, these were delicious, very close to what I was trying to replicate, and the hit of the party I took them too–all were eaten! I will definitely be making this again. Hi Sunny, so happy that you had success with this recipe!! Hi Bee, can see the recipe for the wontons, but I believe that you had the recipe for the chili oil itself at one point? It says now to use store bought. Or is the recipe for the chili oil still there and I just can’t see it/find it? I…uh, I kinda…mess it up? Maybe? Please add the part where you don’t cook the meat. Hi! I really love your website! I finally found that brand you used for the sichuan chili oil and I really want to try this recipe. However, I saw two kinds, one is a “spicy chili crisp” and the other is “chili oil” which should I use, please? Thanks and more power! This is truly the best wonton recipe I have ever made. It will surely be a hit at my superbowl party. Thanks!!! When I first made the sauce I thought it was off but once I put the wontons in it was on point. I added ginger and chili oil marinated bamboo shoots to the wonton filling. Other than that exactly as you wrote it. Better than the chengdu place here at home. Hi Kit, thanks for trying this Sichaun red oil wontons recipe. I am so glad that you like it. Yes, but just for the wontons. Hi, what kind of flour can I use to separate the wontons when wrapped so they won’t stick? I’m very keen to try this recipe! !